These are best eaten warm with a spoon, straight out of the pan! Whisk together sugar and coconut oil until light in colour. Add vanilla, chocolate chips and salt. Mix until incorporated evenly. Add flour and baking soda and form into a ball of cookie dough. 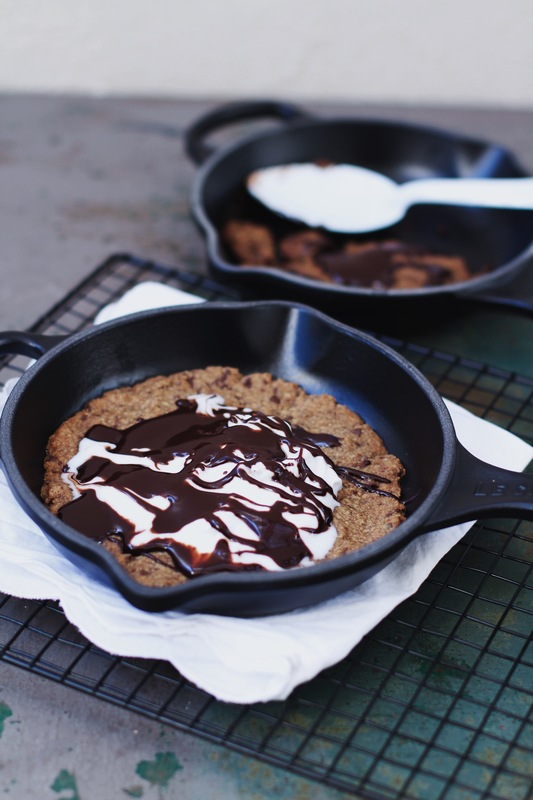 Divide cookie dough between two 10cm cast iron skillet pans or use one 16cm skillet pan. Press dough into a cookie shape to reach the edges of the skillet. Cookie will be very soft in the centre because of the heat of the skillet and should be slightly crisp around edges. 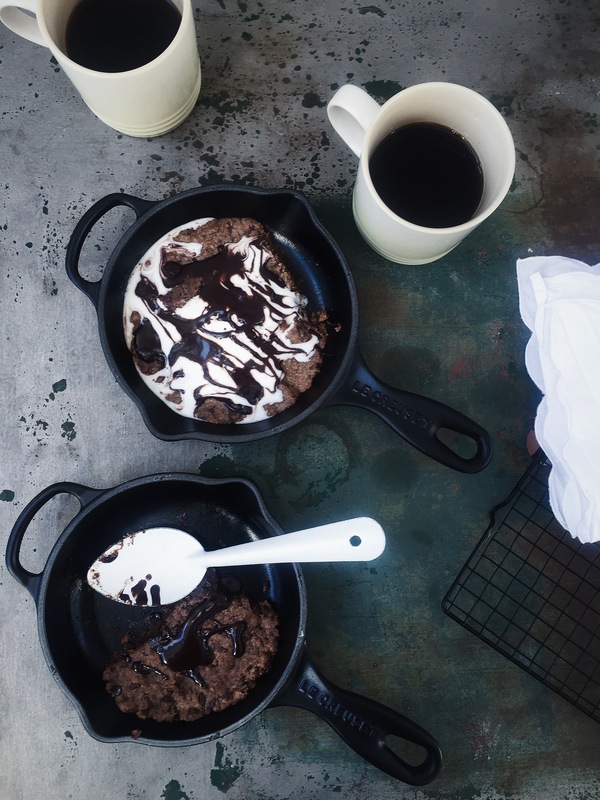 Best served in cast iron skillet pans with coconut cream or ice cream and chocolate sauce.